Students compare a Renaissance-era map of the Italian peninsula with a current one and identify the differences. Then they review the end of the Middle Ages and connect it to the dawning of the Renaissance. Next, they explore the role of city-states in early Italy and focus on specific information about the city of Florence. 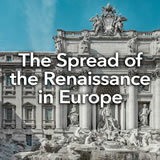 Finally, students choose one Italian city-state and create a research report on its role during the Renaissance. In this experience, students compare a Renaissance-era map of the Italian peninsula with a current one and identify the differences. Then they review the end of the Middle Ages and connect it to the dawning of the Renaissance. Next, they explore the role of city-states in early Italy and focus on specific information about the city of Florence. Finally, students choose one Italian city-state and create a research report on its role during the Renaissance. 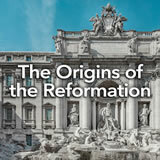 Trace the origins of the Italian Renaissance. 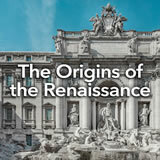 Recognize the role of trade and city-states in the origins of the Renaissance. 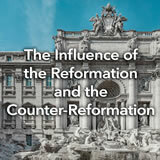 Explain the role of Florence in the Italian Renaissance. When you think about Italy, you may think about pizza and soccer. Those are features that make Italy well known today. 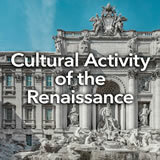 But centuries ago, Italy was the birthplace of an important era in human history—the Renaissance. You will learn more about it in this experience. Look at the two maps of the Italian peninsula. What do you notice in the maps? What is similar and what is different? Discuss student responses. They will likely note that in 1494, the Italian peninsula was divided up into many different political entities, which are represented by the different colors on the map. Today, Italy is just one unified country. Both maps, however, show cities such as Rome, Naples, Florence, and Venice. Now think about the geographical location of Italy in either map. What might be the positives and the negatives of living in a location such as Italy? Discuss this question with someone sitting near you. When students have discussed for a minute or two, finish the discussion as a whole group. Be sure that students recognize that the positives for the location might include the spreading of trade, ideas, and culture across the water. A negative for the location might be threats or attacks from other places. In the rest of the experience, you will learn more about the effect that the spreading of trade, ideas, and culture had on Italy and the rest of Europe beginning in the late 13th century. This new era is typically called the Renaissance.